Fort Worth Locksmith Pros in Fort Worth, TX - Now Hiring! Fort Worth Locksmith Pros in Fort Worth, TX - Now Hiring! Pros on Call is a family-owned locksmith service headquartered in Austin, Texas. Our company has been installing the auto, commercial, and household security hardware and locksets of Fort Worth, Texas and adjacent regions for 5+ years and we are always looking for new locksmiths and technicians to join our Fort Worth, Texas branch – Fort Worth Locksmith Pros. If you’re, presently, a seasoned locksmith serving the area around Fort Worth, or wish to become one, and you’re serious about full-time employment with one of Fort Worth’s top rated locksmith companies, we want to get in touch with you! We have a fantastic reputation among the homeowners, businesses, and motorists of Fort Worth. We offer preference to lock technicians able to relocate within Texas itself or across the country. Full service locksmiths are accountable for emergency and scheduled jobs in Fort Worth, TX and neighboring areas involving re-keying, installing, fixing, and replacing auto, commercial, and residential locksets. 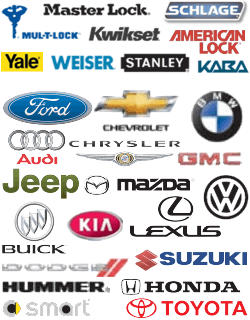 You will additionally answer requests for key duplication, lockouts of all kinds, laser key cutting, and car key transponder programming. Remember that because this is a full-time job, you’ll be required to be on call for several hours. Do you have little experience as a locksmith? Do you have some experience with auto locks? We are able to teach candidates who are dedicated and able to learn! Those who complete our training can finally enter every area of locksmithing that our company offers, and also have the opportunity to go into a lucrative and fulfilling vocation! Salary for this position is commission-based, according to practical experience and salesmanship. Opportunities for promotions at Fort Worth Locksmith Pros are readily available. If you think that you satisfy all these requirements, then we hope to hear from you! Please submit your resume and three (3) references to manager@locksmithftworthtx.com. You can also contact us via telephone at (682) 990-9333. * Pros on Call is an equal opportunity employer and all qualified applicants will be considered irrespective of veteran status, sexual orientation, disability, religion, color, race, gender, or age. ** Proficient candidates are required to go through a police record check and drug testing prior to doing any work for Pros on Call. Locksmith Job Opportunities http://locksmithftworthtx.com/now-hiring/ 3.7/5 based upon 23 reviews.